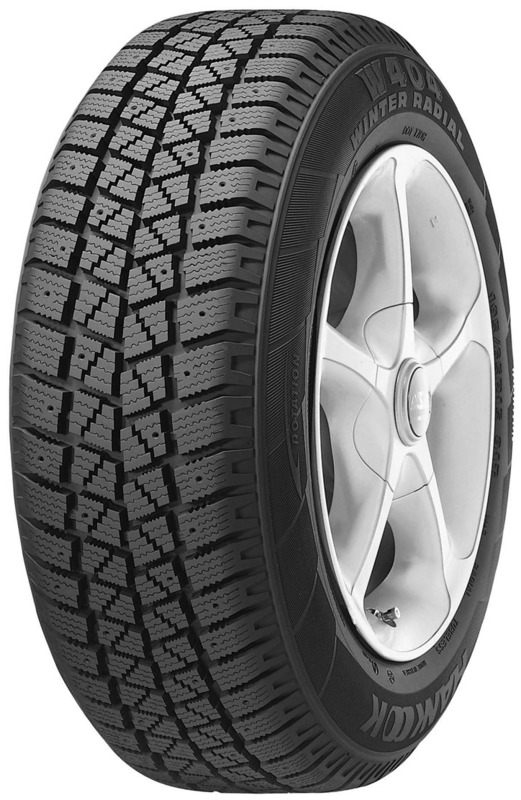 "Hankook Winter Radial W404 | Drenth's Highway Garage Tire Pros. | Quality Tire Sales and Schererville, Indiana "
The W404 is a studded winter radial with outstanding performance on snowy, icy, and rain soaked roads. Straight and lateral grooves with radial-directional and multi-wave kerfs maximize the edge effect resulting in superior braking and cornering in winter conditions. Groove widths increase as they reach the shoulders, enhancing water drainage. The wide footprint delivers a powerful grip and excellent driving stability.